This eyelash extension pallet ring holds and fans out strips of lashes. 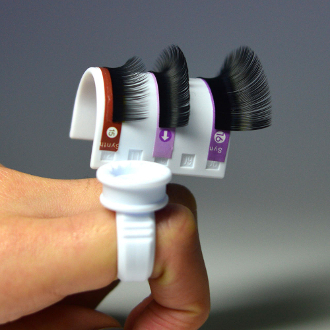 Easier to access lashes for faster application. Makes it easier to grasps several lashes at once already fanned out at tips and base close together. Ring is the base of the lash pallet. Attach lash pallet to ring. Can manuever any way for your convenience.